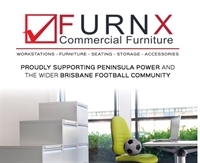 Welcome to the official website of Peninsula Power Football Club.  Founded in the year 2000, Peninsula Power FC was formed when established clubs, Margate FC and Redcliffe FC, amalgamated to become the force it is today. 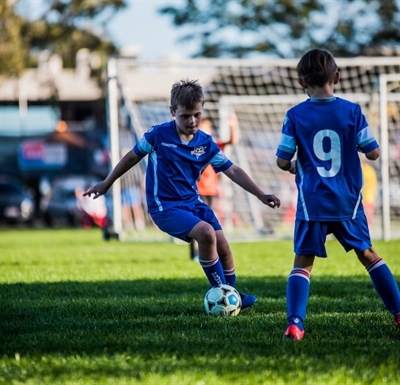 Power is a club that prides itself on developing talent of all ages and genders, from grass-roots members, Squirts and Junior programmes all the way through to the varying levels of the senior leagues. Peninsula Power competes in the elite National Premier League Qld for Senior Men and boys in Under 13 to Under 20 age groups. 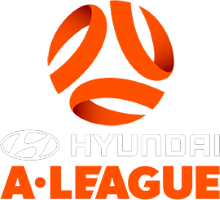 Welcoming all players, Power teams also compete in the Brisbane Premier League Women competitions, City League Men and Women competitions, Divisional Boys and Girls competitions. Peninsula Power have officially launched their 20th Year celebrations. 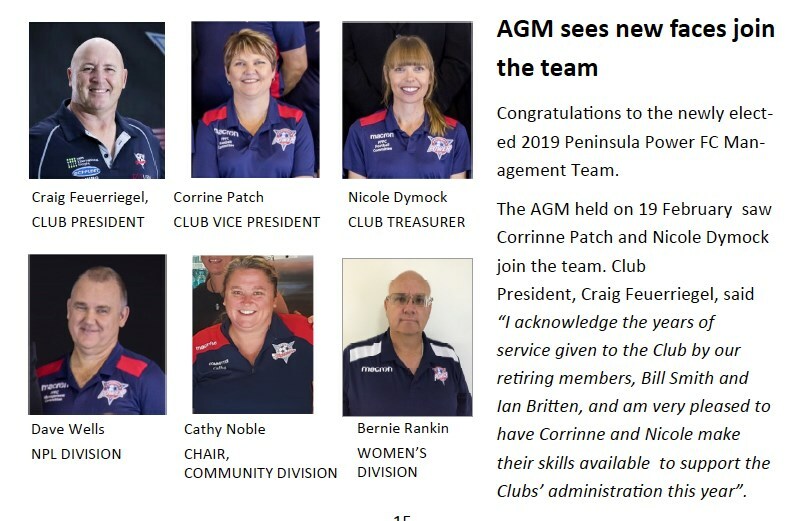 Peninsula Power was formed in the year 2000 from the two previous clubs on the Peninsula (Redcliffe city and Margate). There will be a 20th Year Gala Night on Saturday 25th May with all current, former players, officials and members invited with tickets available now! It's that time of year again. 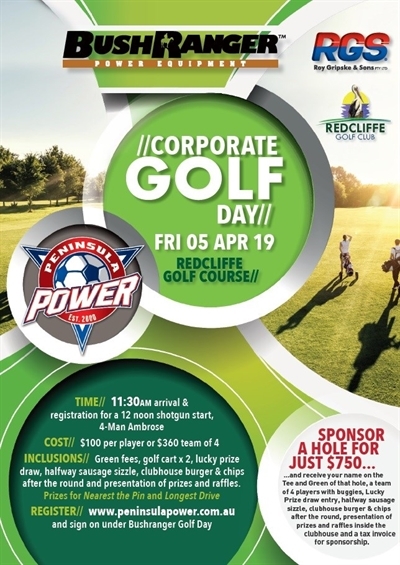 Dig out your clubs, give them a dust down and get on down to Redcliffe Golf Club for the Peninsula Power Annual Golf Day Fundraiser. We are lucky to have Roy Gripske & Sons Pty LTD on board again as the major sponsors of the event. Get all the latest Club News in our Match Day Program - available at every home game. Would your child like to participate in sport? Are you a Health Care Car or Pensioner Concession Card holder? Barista Needed - Power is Recruiting! 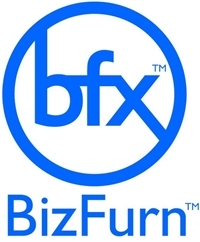 · Have Australian work rights. 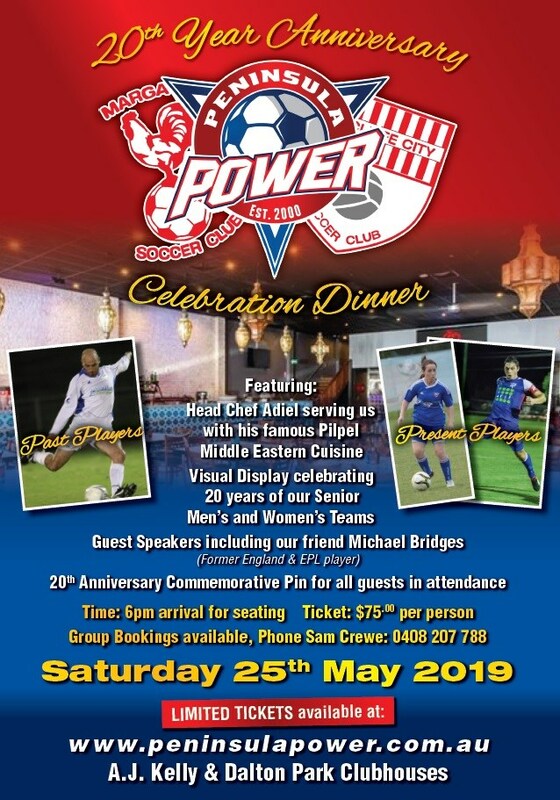 To register with Peninsula Power for the 2019 season please click on the link below.